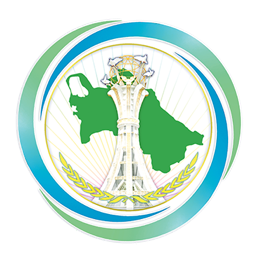 On April 6, 2019 the International Forum "International Day of Sport - for Development and Peace" was held in the conference hall of the National Institute of Sport and Tourism of Turkmenistan. The forum was attended by representatives of the Ministry of Sport and Youth Policy, the Ministry of Foreign Affairs of Turkmenistan, the National Institute of Sport and Tourism, the National Olympic Committee, heads of representative offices of international organizations working in the country, as well as representatives of foreign media accredited in Turkmenistan. As was noted at the forum, thanks to the concerns of the President of Turkmenistan, a lot of work is being done in the country to develop sports and the mass physical culture movement. Modern sports facilities are being built in the cities and villages. The speakers emphasized that Turkmenistan is enhancing its global prestige as a country with successful experience in holding major international sporting events. As a result of cooperation with the International Olympic Committee and sports federations in the country are actively developing various sports. At the end of the forum, a session of informal discussion in the "question-answer" format was held, during which, to all questions were given full answers.